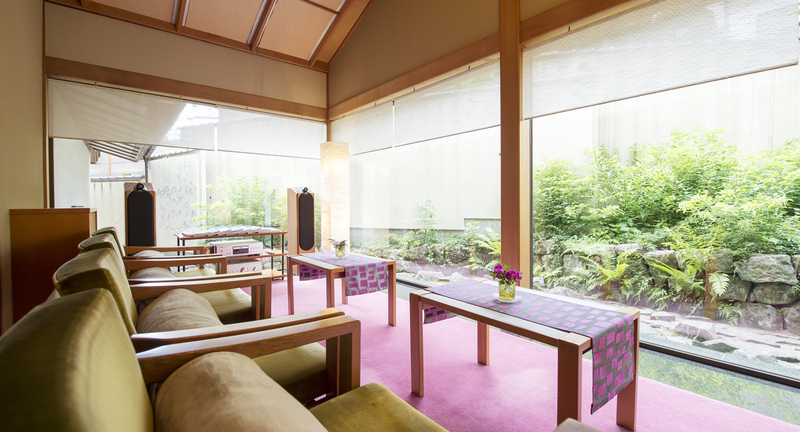 The lounge counter with its wide width for around 8.3m (2.5ft) bulges out toward Matsukawa Keikoku. You can enjoy panorama view of the nature under your eyes there and feel refreshing for a while with negative ion risen up from Matsukawa Keikoku. In “Fureai no michi” named by the late Masao Suzuki (sculptor) , you can feel breeze in through the canyon, scent from the mountains and trees. It takes only 7 to 8 minutes to the river surface of the canyon through the promenade from the building. Conversation lounge is facilitated nearby entrance to the promenade. While best selected audio music is playing, why don’t you enjoy read your favorites or take time for pleasant chat? 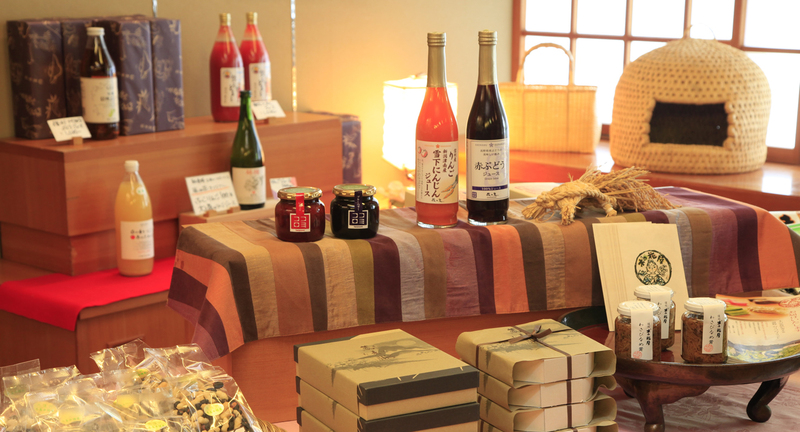 Best selected taste of Kitashinano can be offered. Best popular fruit and vegetable juices, local brews and variety of souvenirs you can get only here are offered. 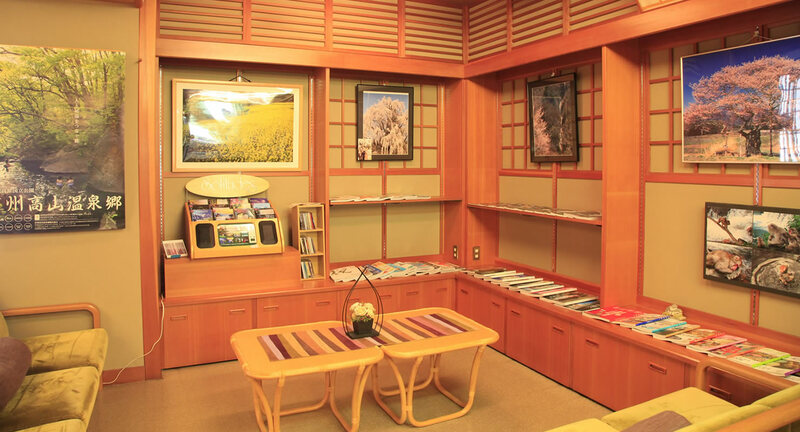 Sightseeing information nearby Fujitaso Ryokan available here. Next to shop in the building so you can take rest while you look for souvenirs as well.